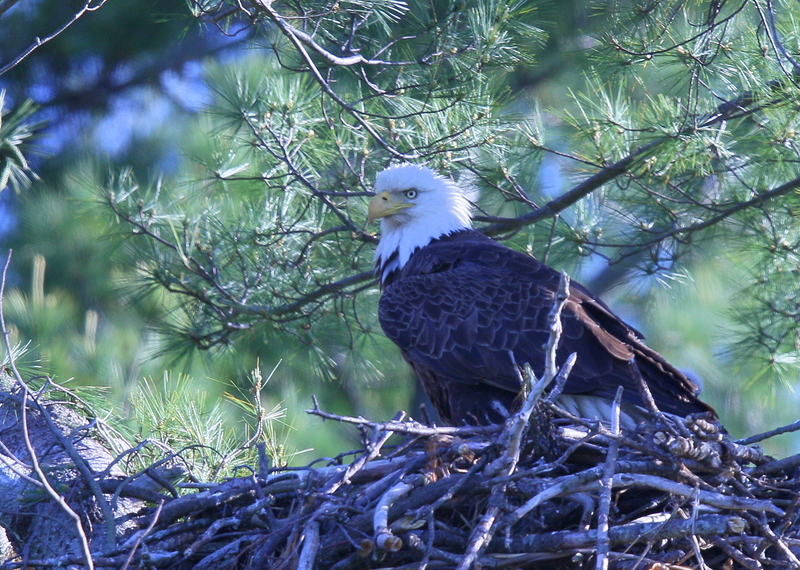 The Bald Eagle nest in NE Essex county continues to look good for chicks. Reports have been coming in that the small brown headed chicks are starting to poke their heads up and are just starting to be seen. Stay tuned! ← Peregrine female guards the nest box!